Castaway was absolutely amazing. The remote location is incredible, the cottage is like something out of The Holiday and the hosts could not be any more hospitable. This was our honeymoon and it was one of the best experiences we have had together as a couple. Being able to go for walks in the hills, or curl up on the couch in front of a wood fired stove and watch Christmas movies in one of the most remote and beautiful parts of Scotland was just amazing. We could not have asked for more - five out of five stars. We had a great time thanks, everything was exceptional. The hosts were lovely. Nigel & Lou were lovely, very helpful and welcoming. The location was beautiful and the cottage very well presented. The home made goodies on arrival were amazing and the dog loved her treat bag! Where do we begin, you are the most perfect hosts, nothing is too much trouble. 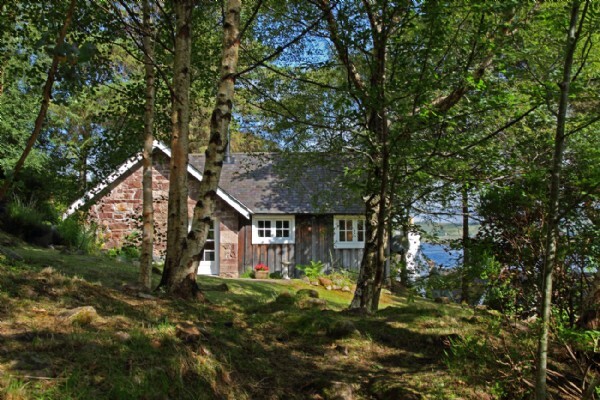 The cottage exceeded all our expectations, the location is absolutely stunning. This really is one of the best places we have stayed. We continued our road trip to even more remote areas, so I was out of reach. 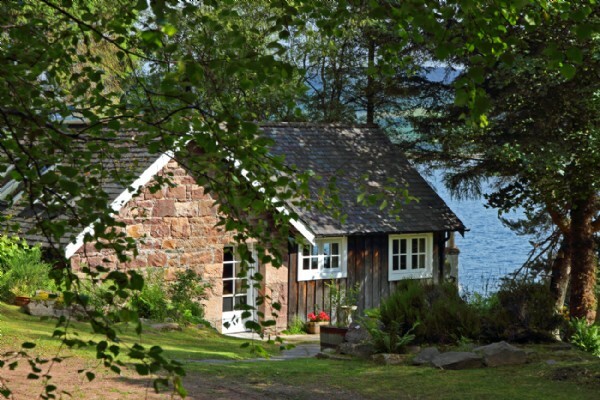 But the cottage - oh my! It´s a gem, absolutely. I did wonder many times, how do you find these locations? We rented one of your Cornwall-cottages few years back, so I did have high expectations for Castaway as well, but it was even better I could even dream of: The view from every single window is just stunning, let alone the terrace. Just breathtaking. One of the best views I´ve ever had, changing every day and night. I just wish we could have stayed there longer. Also the moors around the cottage are fabulous, and yet very easy for walking. The interior of the cottage excellent as well. The mobile connection was better than we expected - actually far more better than over the area in general. This was a positive surprise, but wifi was not that good. However that was not problem as the mobile connection was so good and we could connect on-line via our mobiles. Lou and Nigel were excellent hosts and relaxed and they arranged us some prawns and also a sea ride directly from their jetty, which was great. It´s a very special place, very unique. 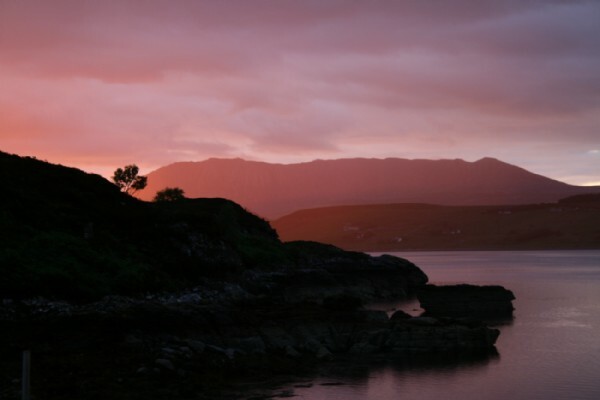 At the same time it´s remote and isolated, but connected to the world: lights of Ullapool make you feel connected to the world, and they look so beautiful on the other side of the loch. Congratulation on having such a gem on your list! I also wish Unique Home Stays would expand to new territories. Finding a good rental takes so much time, and obviously Unique Home Stay is a guarantee for quality. YES - Castaway was everything and more that your website and the reviews promised! Nigel and Lou are equally as lovely. We LOVED our stay - thank you very much. And the 4x4 road down to the cottage was VERY exciting indeed tested the skills - love it. 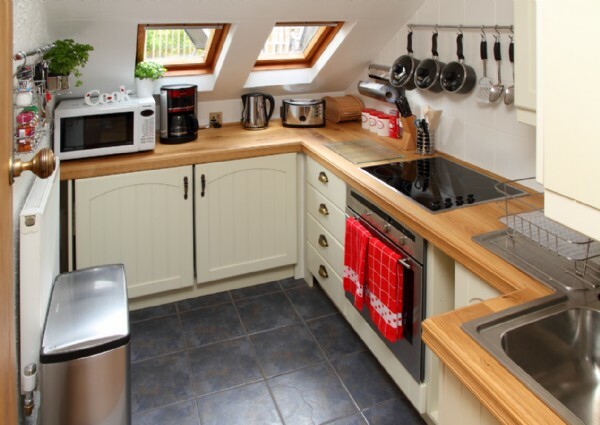 Used you guys twice now - do not worry - you are top of my list for holiday cottages! Thanks again for persisting, for the special personal attention you guys give. Goes a long way to making sure I will return to you in the future and also recommend you. The property exceeded all expectations. The owners warmth and kindness was as incredible as their Castaway cottage. They had thought of everything and more. The whole experience was punctuated by delightful moments from arrival to departure. They are the best hosts. Never before have I felt the desire to purchase gifts for the hosts of a private let. They felt more like family than property owners. Fantastic property! Nigel and Lou are simply the most welcoming hosts ever! Nothing was too much trouble and we were genuinely very sad to leave. We will go back one day. Very impressed with Unique Home Stays as well, great service and very professionally run. Thanks for a great holiday all! I booked Castaway as a surprise for my other half, and so I´d have the perfect place to propose. 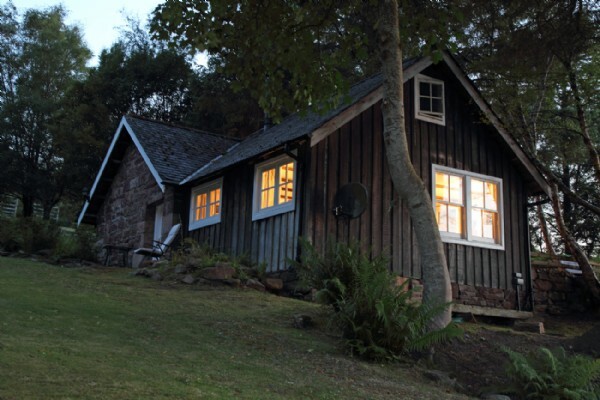 This perfect, romantic and secluded home utterly floored us! The setting, the house, and the special touches made us feel so welcome - it was the most wodnerful retreat. Nigel and Lou were the perfect hosts for us; able to help with anything we needed (and happy to gather a few proposal essentials for me like champagne and roses), whilst still ensuring that we had a lovely, private and romantic weekend. It was the perfect place to just be. We hope to return again one day, perhaps on our wedding anniversary. We were lucky enough to spend Christmas 2015 at Castaway. It took us a long time to find somewhere we wanted to stay at this special time of year, and it was the perfect choice. An amazing Christmas tree awaited us, lights around the cottage and little ´Christmassy´ touches throughout. It was so cosy and welcoming after a nine hour drive. Christmas day was perfect. A walk on the beach with stunning surroundings. Nigel and Lou, well done, you are both lovely people and made our stay at Castaway that extra special. You´ve got it just right and we appreciate everything you did for us. Many thanks. P.s. Those laser lights were spectacular! We have loved our stay here. The cottage is fantastic and Nigel and Lou have been the perfect hosts. Our dogs Sage and Juno have loved it. 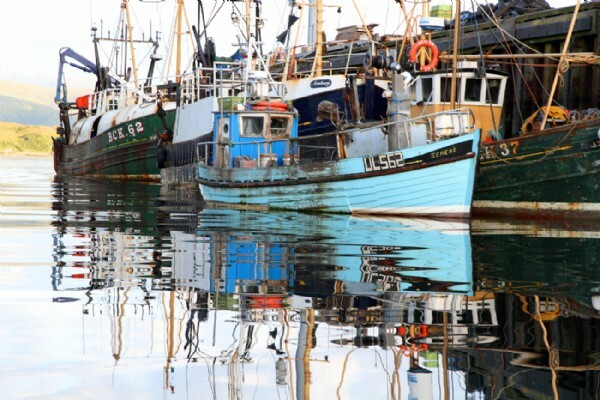 The area is stunning and there is so much to do. 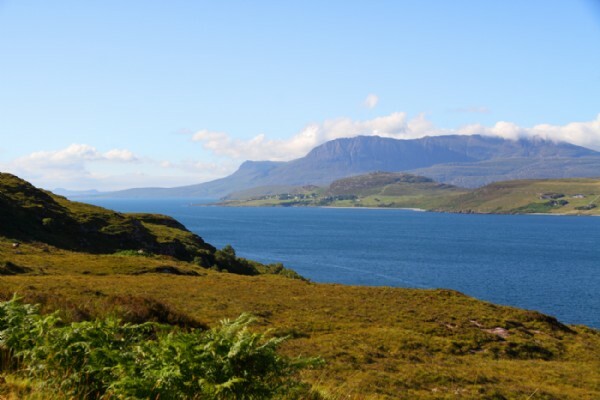 We have seen loads of wildlife and would recommend going out with the gamekeeper Alasdair, Hebridean whale cruise (Gairloch) and Norwest Kayaking. 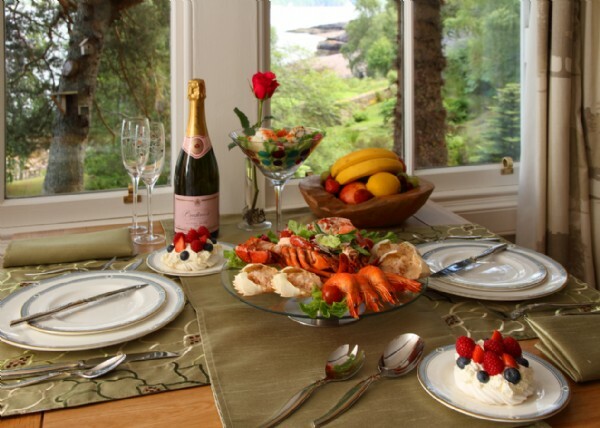 The seafood was amazing, we would love to come back and we will be recommending Castaway to friends and family. Thanks for everything! Our week at Castaway was just fabulous and we came away totally relaxed and de-stressed! 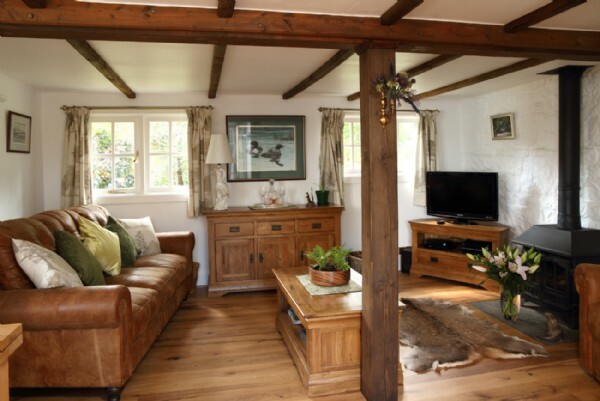 The cottage itself is perfect and feels like a home and this is down to not only attention to detail but because you have managed to create an atmosphere with all the touches of a home. It´s quite hard to put into words why Alnerharrie is so special as it is the sum of the parts of lots of things. 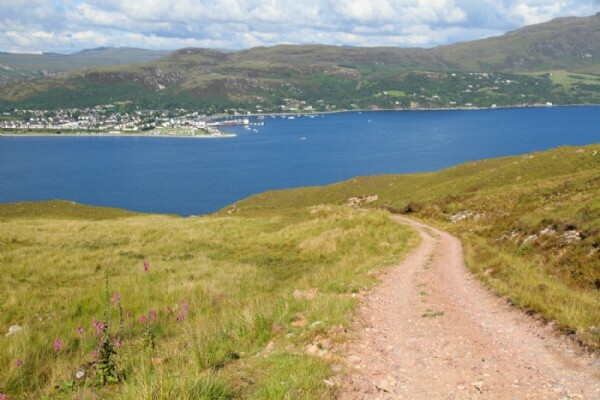 The road down is the start of the adventure, the warm welcome by the owners, the absolute respect for privacy whilst being there for anything that guests may need. All of this and more makes the experience simply magical. Nigel and Lou were fantastic hosts and really enhanced the experience we had on our holiday. They were extremely accommodating and could not have been more helpful throughout the stay - they were genuinely fantastic. Thank you for such a warm welcome, the seafood platter was amazing, we enjoyed the fishing and there was lots to do. Wonderful hospitality and a real haven of peace and comfort... time stood still for a wee while. A wonderful stay in an idyllic spot. The sunshine on the water, the otter and all the birds has made this a little piece of heaven. Thank you both very much. Thank you for sharing this home with us. The hot tub, the seclusion, the views, the hospitality and the peace made it a wonderful experience from the moment we arrived. Thank you for the delicious home baked goodies and lovely personal touches throughout the cottage. Nigel and Lou you were the perfect hosts. Many thanks again! 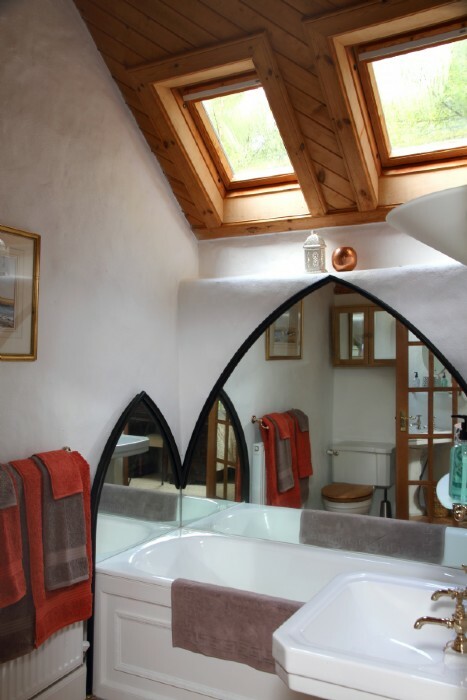 Castaway is so homely with the extensive use of pine throughout the bedroom and bathroom. The kitchen and lounge is very comfortable and suited us perfectly and we loved the beautiful trees that surrounded the property. Castaway is absolutely stunning. This is by far and away the best accommodation we have stayed in in this part of Scotland. Your detailing and quality are impeccable and the track was a blast in the Defender. Nigel and Lou – it’s folks like you that make the Highlands great. P.S. Other guests, you really must try the hot tub. Get a decent stove going and it is super toasty after three hours. It’s awesome. P.P.S. Woody loved his time here and being off the lead. We enjoyed a wonderful stay in this idyllic spot. Watching the sunshine on the water, the otter swimming and all the wildlife has been like a little piece of heaven. Thank you both very much. We came with the intention of finding peace and seclusion and that’s exactly what we got! We enjoyed a really relaxing break with our dogs Bonnie and Bromley and explored the beach, garden and countryside with them. Castaway is everything we could have wished for as a place to stay and we appreciated all the extra little touches. Thank you so much! It’s been everything we could have wished for and more. The week has just flown by and we hope to return next year. Thank you to the owners for being so welcoming. We really appreciated the personal touches. Until next time. 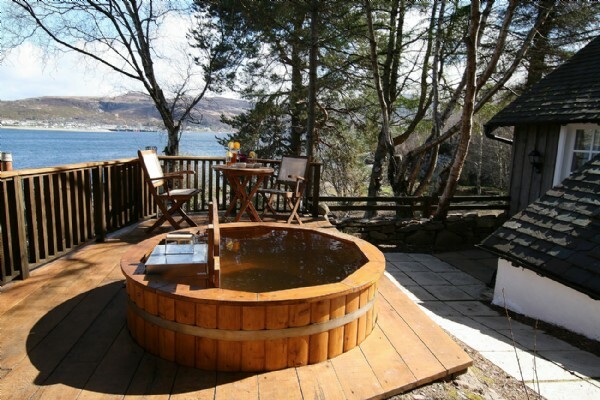 Castaway is a truly amazing beautiful cottage with stunning surroundings. The owners were very welcoming and we loved the afternoon tea! Thanks for a magical week (the weather was fab too). We will recommend Castaway to everyone. What a great four days we´ve had. We loved the seclusion and the chance to escape from the rat race. Kayaking on the loch was a highlight for us. What a wonderful way to spend our silver anniversary. A perfectly secluded, peaceful honeymoon getaway – we couldn’t have asked for better. The owners bent over backwards to make our stay enjoyable and the little personal touches really made it special. This place is a little taste of heaven. Thank you so much! We will be back for a future anniversary! We can only echo what has been written before about Lou and Nigel, they have been excellent hosts. From the greeting, to the wonderful “hamper”. The clay pigeon shooting was great fun, thanks for arranging a great day for us. We are already planning our next visit. 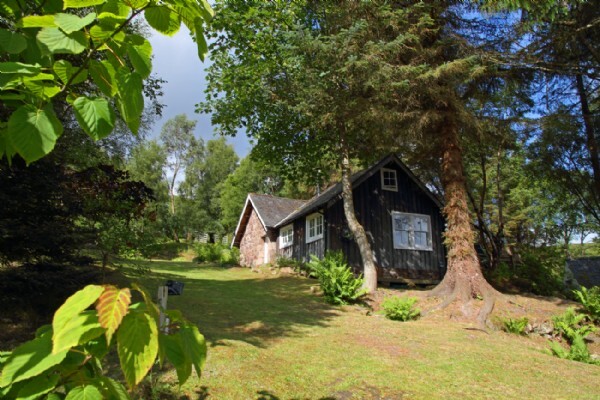 It is a truly wonderful cottage to stay in, in a wonderful part of Scotland. Castaway is a little piece of heaven on earth. It has been a real joy to stay in these beautiful and relaxing surroundings. The owners were so warm and welcoming and made our stay just perfect – from the homemade baking and cooking, the fresh seafood, to working the clay pigeon trap in the rain! We would highly recommend Alistair, the local gamekeeper who took us clay pigeon shooting. Listening to his knowledge of the area was as enjoyable as the shoot itself. Thank you Lou and Nigel for creating a truly memorable experience. We look forward to a return visit very soon! Lou and Nigel have been excellent hosts; from the greeting, to the lovely hamper, to organising a great day clay pigeon shooting. 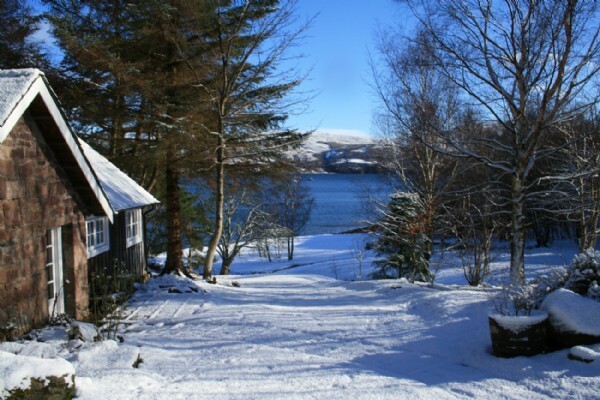 We are already planning our return visit to a truly wonderful cottage, in a truly wonderful place in Scotland. ‘Castaway Cottage’ was just that. 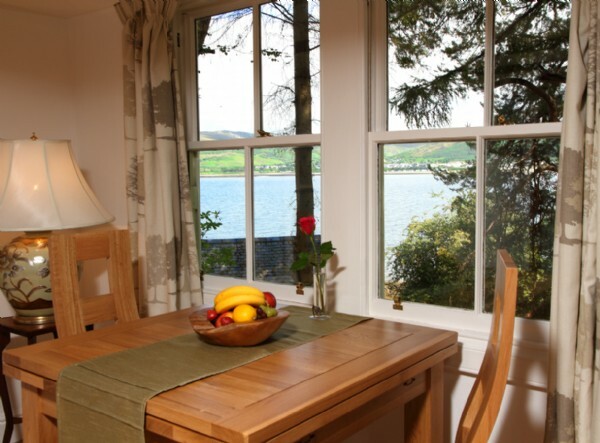 Situated on the edge of Lochbroom with stunning views of mountains and sea all round. 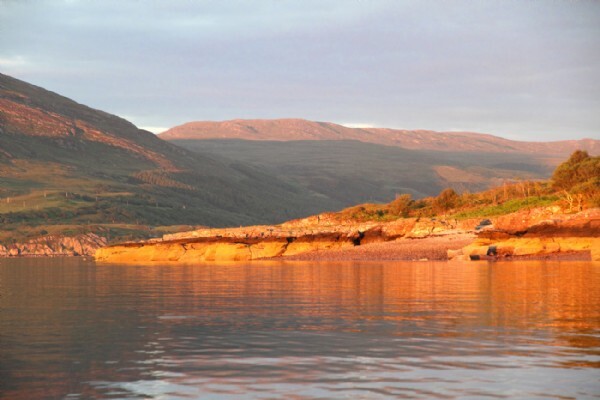 Completely remote but we were able to cross the loch to Ullapool in the owner’s boat whenever we arranged it. 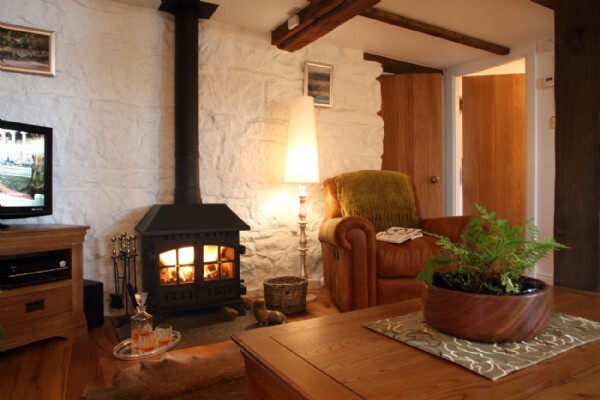 The cottage was so beautifully appointed with the special touch of a four poster bed and all the amenities you could need, including a wood burning stove that kept us snug in the lounge. 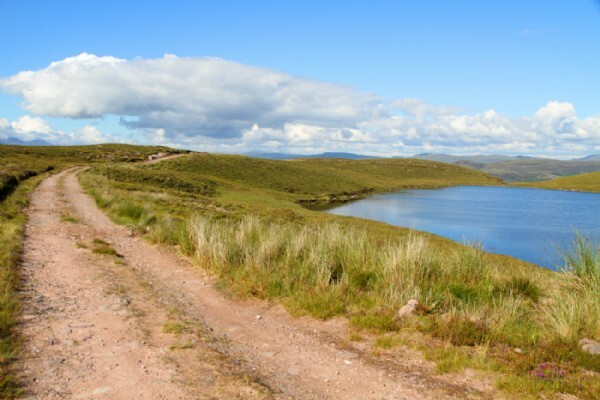 There are extensive grounds for the dogs to enjoy, and wild walks by loch and mountain straight from our doorstep. 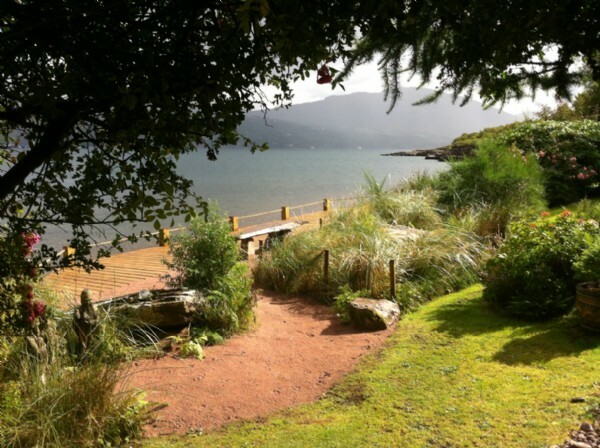 There are many excursions to be had including a recommended visit to the National Trust gardens at Inverewe, and if you are going that way continue on to Applecross to the world famous Inn where lunch will truly surprise you. Not to mention the scenic drive through some of the most beautiful mountains and wilderness. We were made to feel completely welcomed by our hosts from the moment we arrived at this unique hideaway, and all our needs were more than catered for. 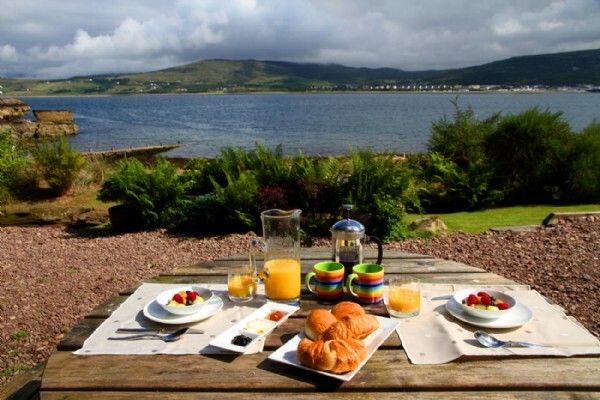 We have just spent the most wonderful week at the best kept secret in Scotland. It’s called Castaway and when Unique Home Stays advertised this beautiful hideaway as being ‘unique’ they were not exaggerating. 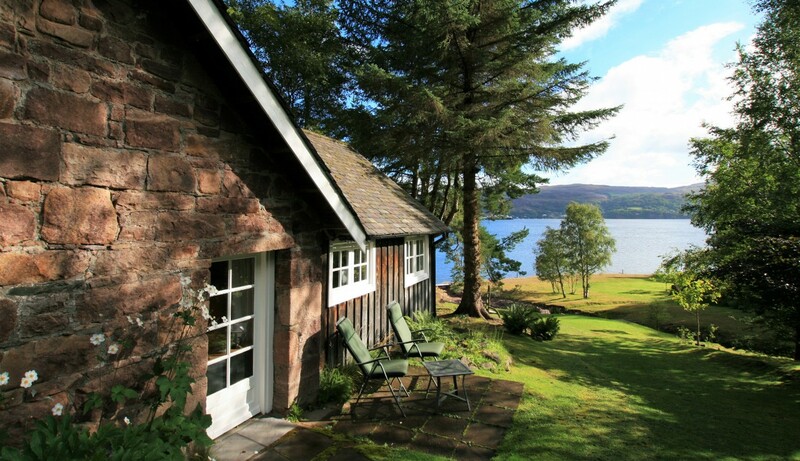 Snuggling on the tidal shores of Lochbroom, the luxuriously appointed cottage in stunning grounds with beach frontage gave us far more than we could ever have expected. 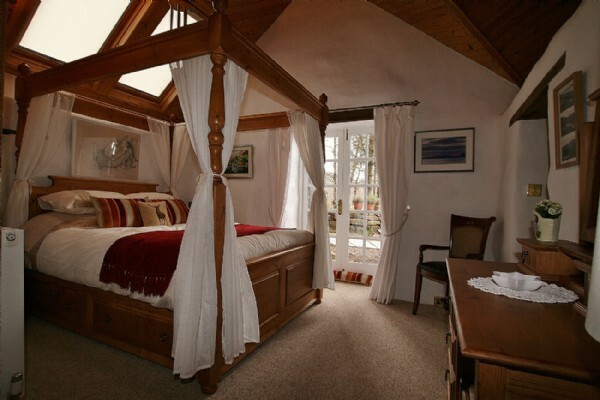 From the four poster bed to the hot tub, the log burning stove, and the exquisite décor – nothing could be better. Our hosts, Lou and Nigel did everything that the perfect hosts could do to make our stay extra special. We will be back.